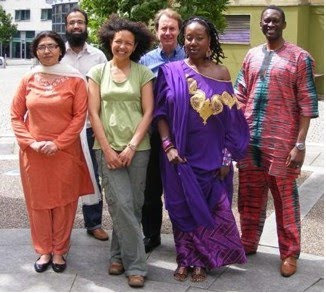 Wor Poets came from Africa, Asia and The Caribbean and have joined UK counterparts to become an intercultural asset for North East England. Following their success at the legendary Morden Tower as part of the Newcastle “Late Shows” in May, Wor Poets return for a feast of poetry to be served at the Learning Suite at Theatre Royal Newcastle. Wor Poets is about a shared experience of life in our region from multiple perspectives. Their poetry is insightful and funny, sometimes offering the lyrical lilts of different languages to create beautiful aural soundscapes. Above all, Wor Poets always offer an enjoyable evening out. We hope you'll take this opportunity to see some real local talent shine and help them to raise their profile in our region and beyond.